I think fall has skipped Japan all together and we’re heading full-steam into winter. Sad, but true. 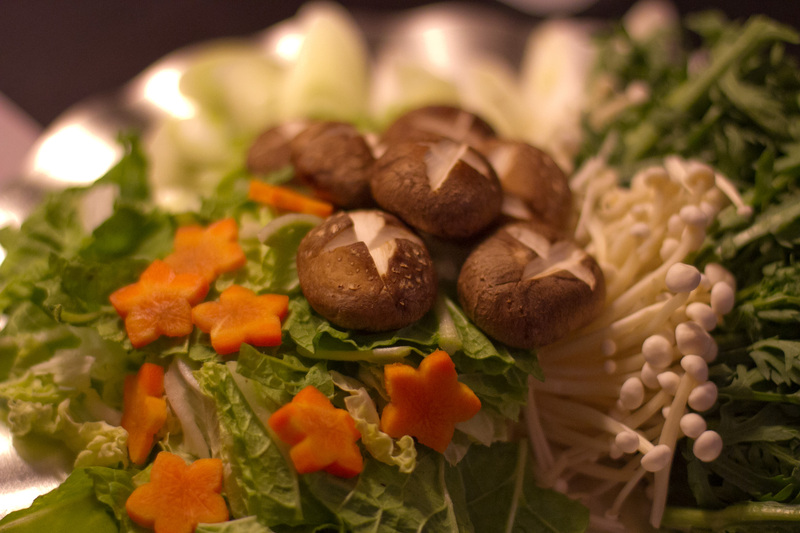 However, there is some silver lining to winter approaching…sukiyaki! 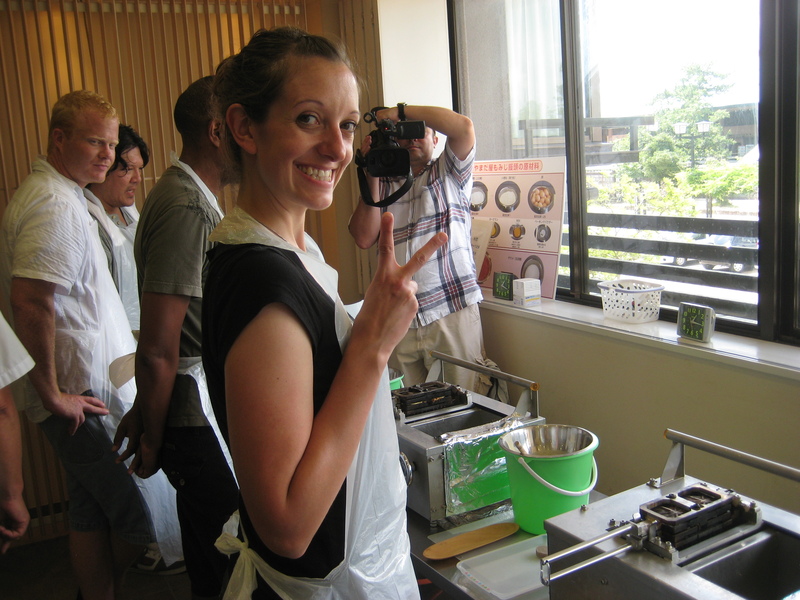 On Saturday, I headed to Tokyo for a sukiyaki cooking class with my foodie friend. Sukiyaki is hands-down my favorite Japanese winter dish. I’ve tried a few different nabe (hot pot cooked at table) but always finish a meal wishing I had gotten sukiyaki instead. I was sure it was easy to make but sometimes it’s easier to have someone show you the first time. Buddha Bellies Cooking School has long been one of my favorite Tokyo stops. I routinely check out their website to see what’s happening and what classes I can join. It all started over a year ago when I took the first udon-making class for my birthday. 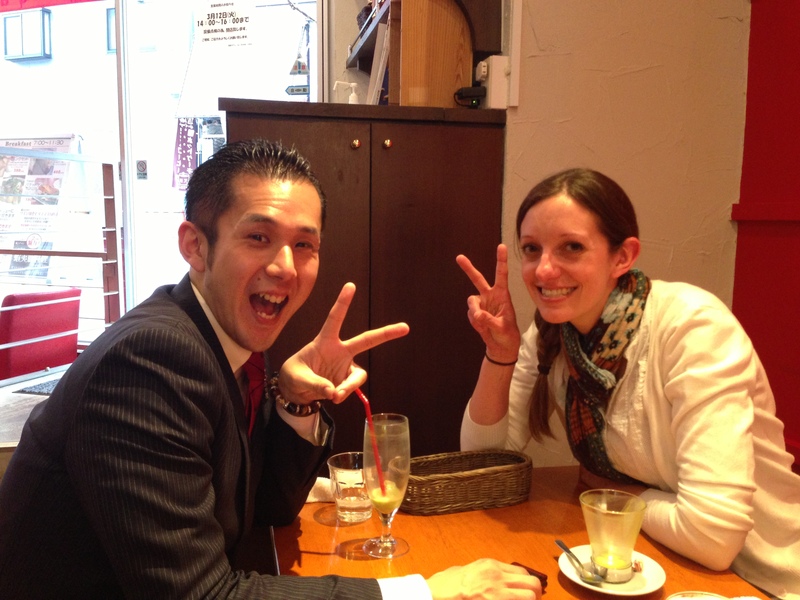 It was a wonderful night spent with our gracious host Ayuko, new friends, and my husband. Those living abroad know how lonely birthdays (or holidays) can be so feeling like you’re with “family” makes it easier. 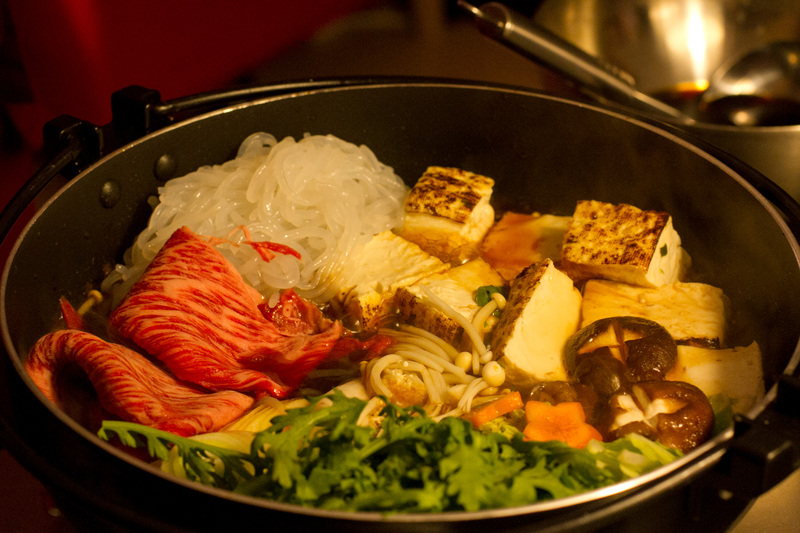 But I digress; this post is about sukiyaki and its deliciousness. 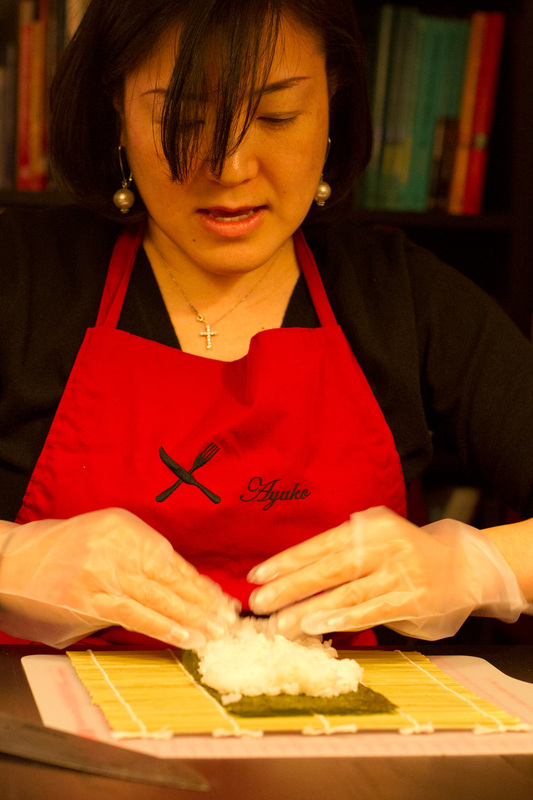 Ayuko started the class by explaining the basic history behind the dish. 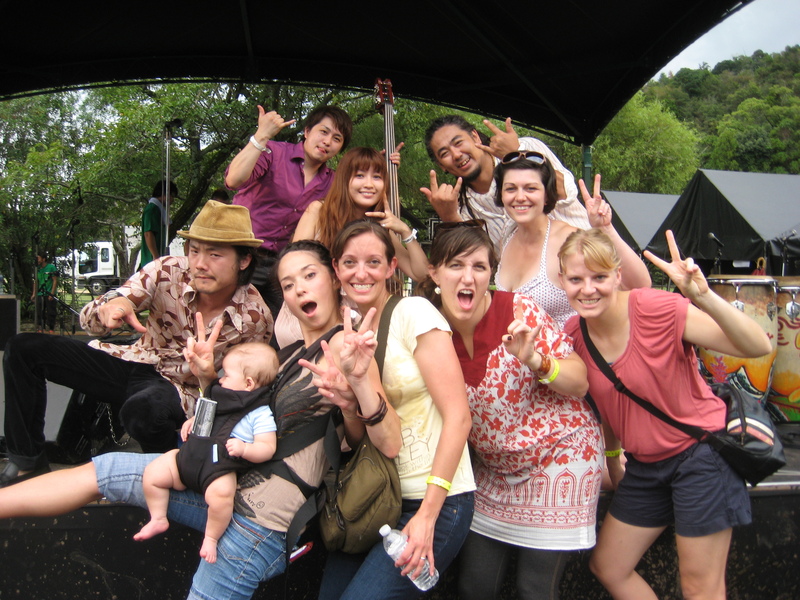 There are different stories on how sukiyaki came about. But the one consistency is that prior to outside influence, the Japanese did not eat much meat. When westerners started coming to Japan in the late 1800s, they wanted beef and the Japanese being unaccustomed to preparing beef would boil it in pots with soy sauce. The other cultural tidbit that we learned was that there are two types of sukiyaki, Kanto- and Kansai-style. The first major difference is the sauce. 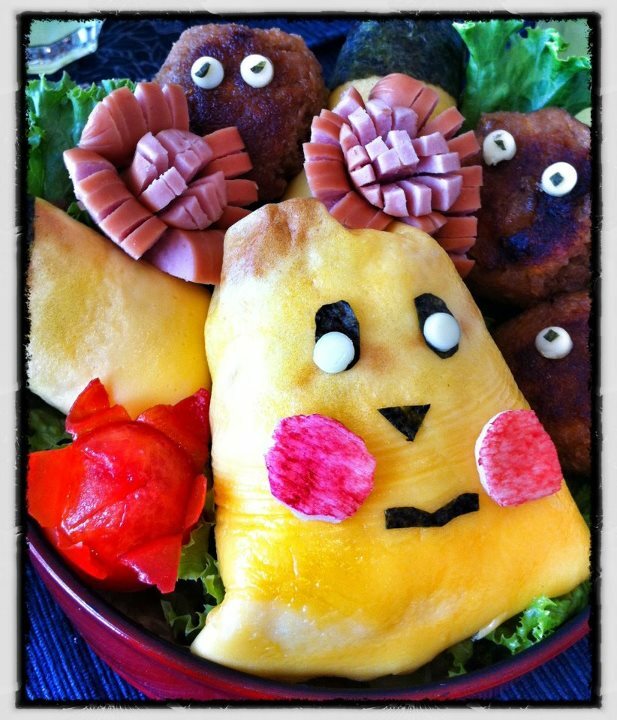 The Kanto-version requires warishita sauce to be prepared ahead of time. For the Kansai-version, it is added after the beef has begun cooking. There is also a variance in sauce flavor. 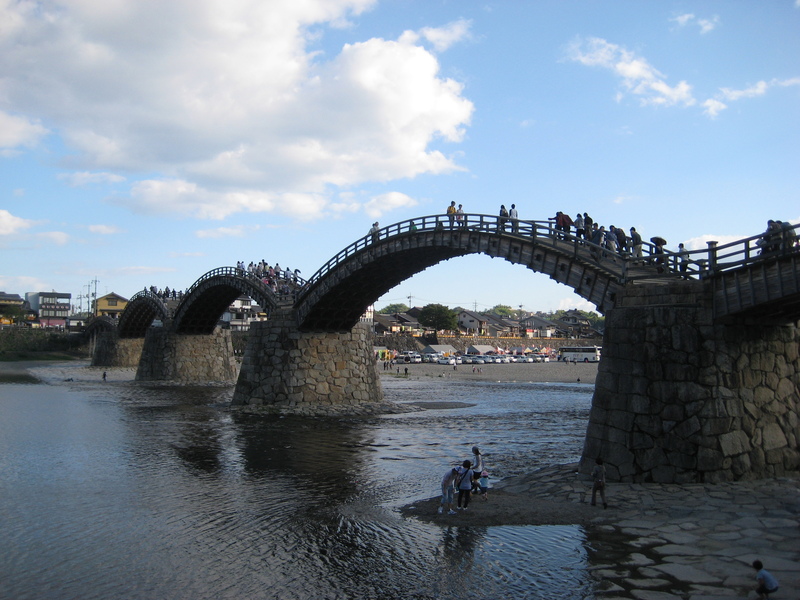 People in the Kanto prefer a saltier version while the Kansai area prefers a sweeter version. 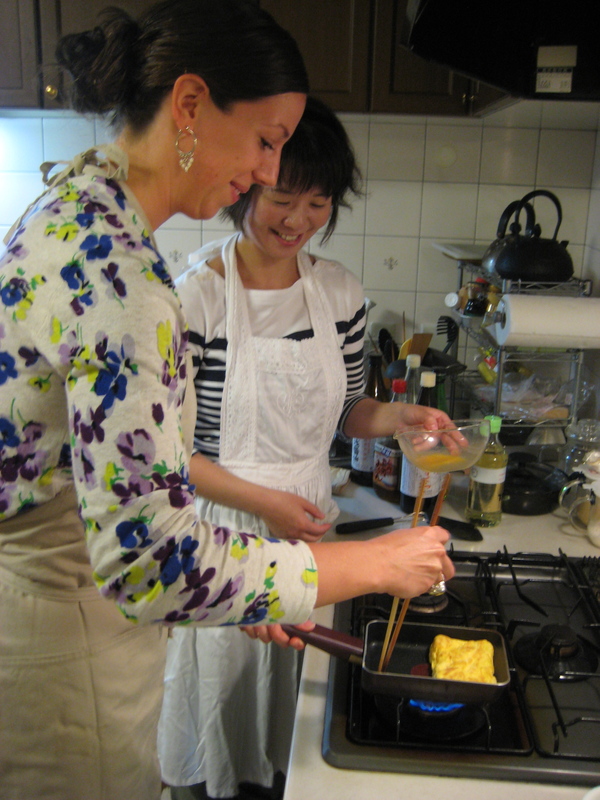 Since we were in Tokyo, we were learning the Kanto-version so first up was making the warishita sauce. The sauce was ridiculously easy to make. We mixed together soy sauce, mirin, sugar, salt, and sake. Brought it all to a boil and allowed it to cook off the alcohol before letting it cool. The sauce actually improves after a few days so make it ahead of time and you minimize prep on the day. After we had the sauce was complete and cooling, we moved onto the vegetables. We cut and prepped onions, cabbage, carrots, tofu, and mushrooms. We added a hashed “X” on each mushroom which I thought was done for presentation alone but discovered it actually allows more sauce to seep into the mushroom. Yummy! 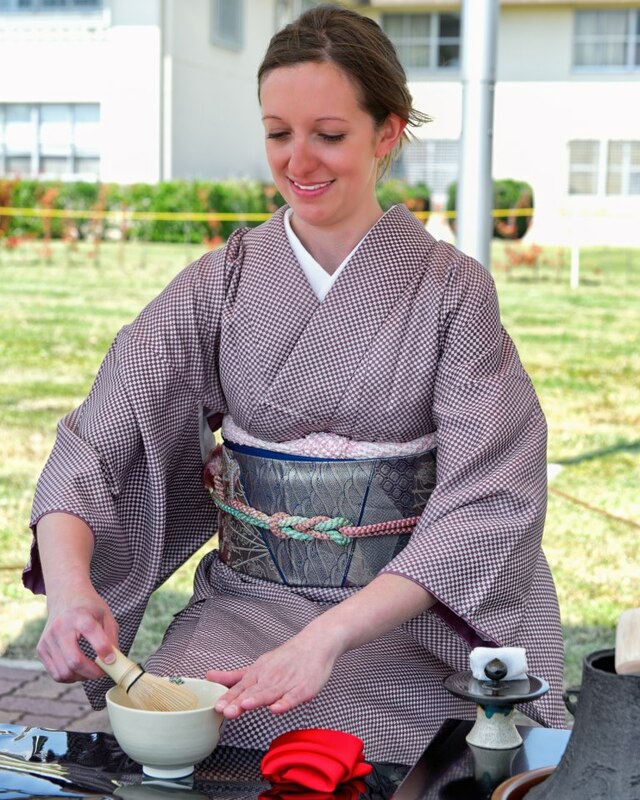 We also cut the grilled tofu in the traditional way Japanese do which means on your hand. Yes, you heard right! We were both a bit freaked out about cutting our fingers off but in the end, it all worked out well and we had nicely cut tofu. With the sukiyaki platter ready to go, we moved onto our appetizer platter. We made a dish called namasu which is pickled cucumber and wakame seaweed, Japanese egg omelet, and a decorative sushi roll. Then it was time to begin our feast! 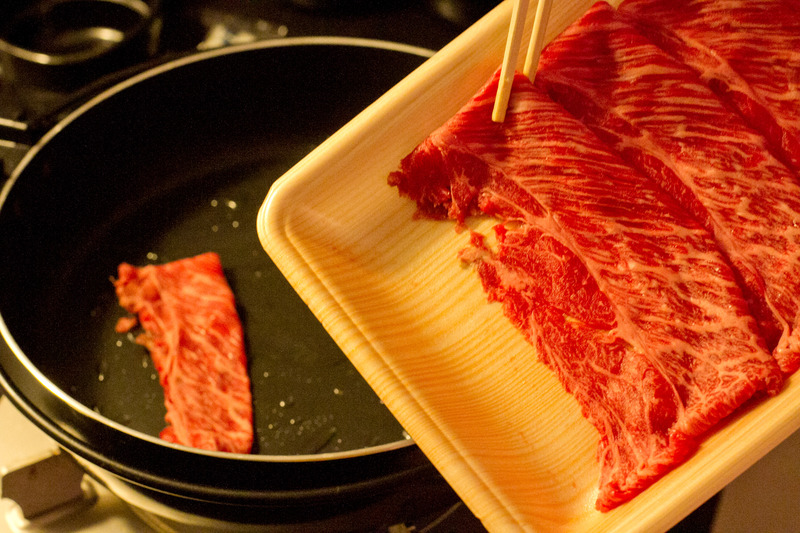 There is a process to how items are added to the sukiyaki dish. First, we placed a beef fat cube in the pot instead of oil to grease it. Most grocery stores and butcher shops offer beef fat in the meat section. I had always wondered what those white cubes were in the basket and now I know! Then the first round of beef is added with some of the warishita sauce. Only beef is added for the first round is to allow it to further flavor the sauce with its juices. After we gobbled up the delicious marbled beef, we added more beef, mushrooms, onions, cabbage, grilled tofu, shirataki noodles, and shungiku (garland Chrysanthemum). Let it all cook and then time to eat. The traditional way to eat sukiyaki is by dipping it in a raw egg. 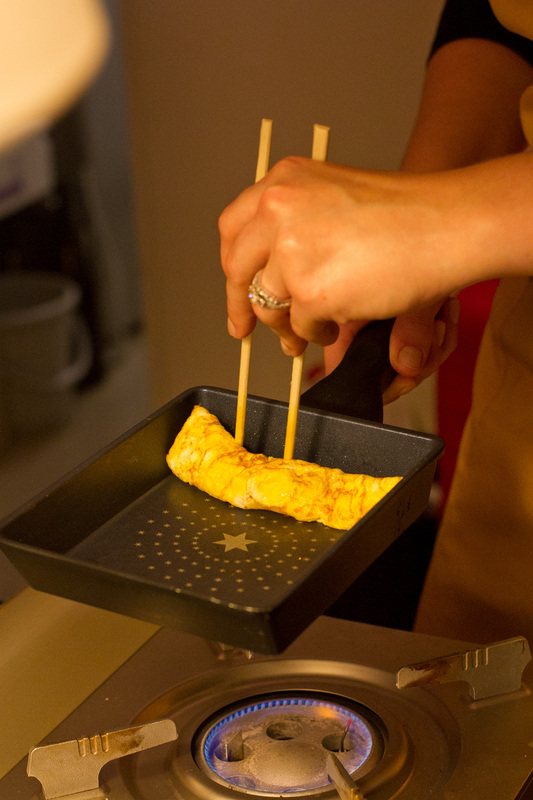 You break the egg in the bowl provided, whip it, and then dip the beef into it prior to eating. It helps to cool the beef and the egg cooks slightly on the surface. There’s an added richness this way but don’t feel you have to do it. The meat and vegetables were equally delicious without. I’m so excited to add sukiyaki to my cooking binder as its quick, communal, and the perfect dish for these cold days. What’s your favorite winter dish? 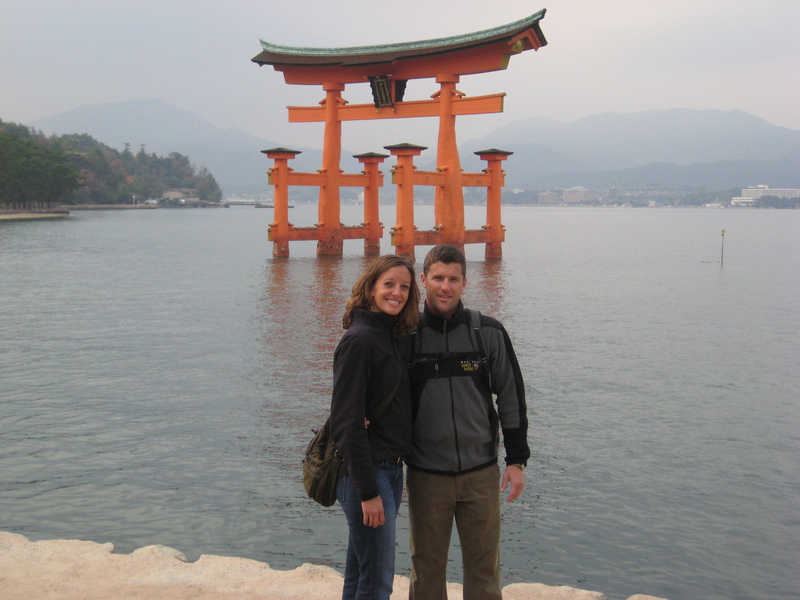 We’ve lived in Japan now for three years. Three years? Really? Time truly does fly! Three years of exploring this beautiful country which has become our home. Here’s a few things we’ve learned during our time here. 1. Customer service is AMAZING! You are cheerfully greeted as you enter any store. Workers are quick to help you find what you want. And they bow after every purchase. But the best customer service innovation is a buzzer found on the tables of many restaurants Perfect solution for having a waiter there when you need them and no mindless chitchat about how your food tastes when you don’t. 2. I will never learn to read this language. Yes, it’s sad but I’ve just resigned myself to that fact. The challenge is it isn’t one written language but four! You have hiragana, katakana, kanji, and romanji (Japanese words written in Roman alphabet). To be honest, the hiragana, katakana, and romanji would be do-able but kanji is straight memorization…and my brain just shuts down! 3. Homes are fragile. 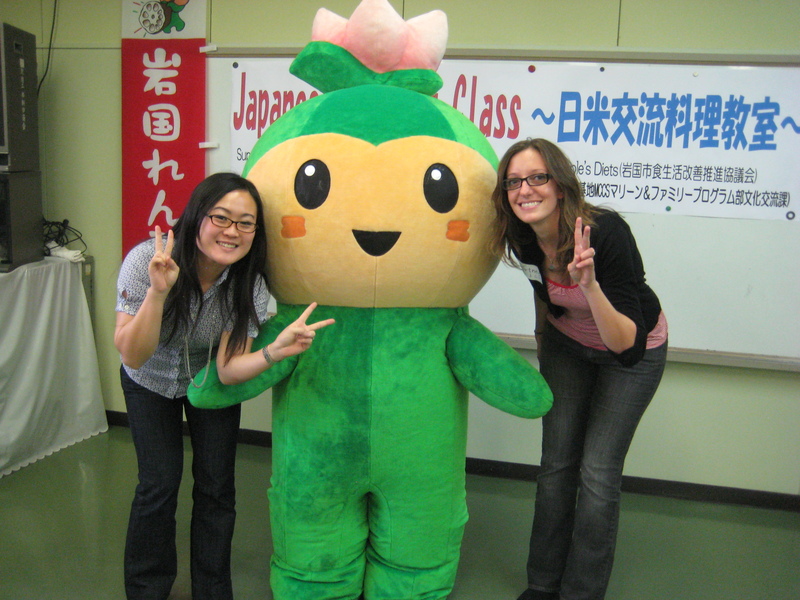 This is possibly one of the few dislikes I have about living in Japan. 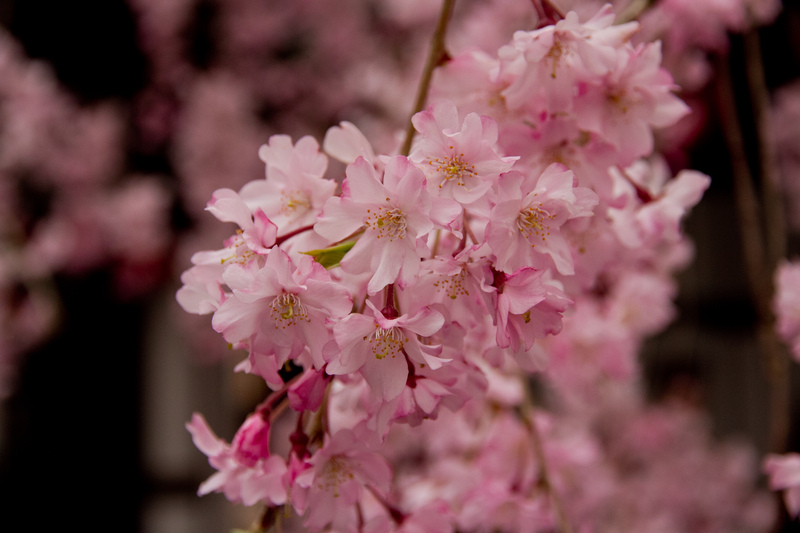 The homes are cold, cold, cold in the winter because they are built to “breath” during those hot and humid summers. The floors are impossible to keep clean and glossy because even though it’s wood, there is not durable wax to protect it. The redeeming factor is most homes have heated toilet seats. Best invention ever! I want one in my American home. 4. Food is diverse. 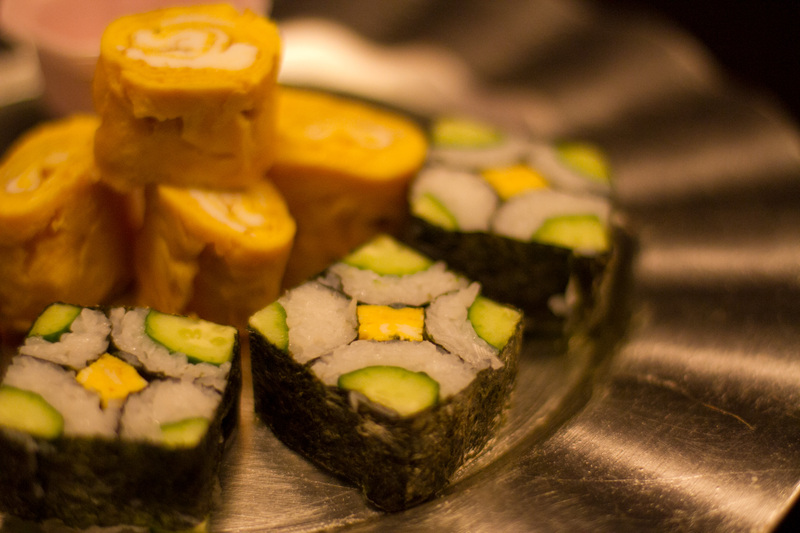 Most Americans seem to think only of sushi and teppanyaki when it comes to Japanese cuisine. And now, ramen is starting to make a splash! But this is barely scratching the surface of Japanese cuisine. 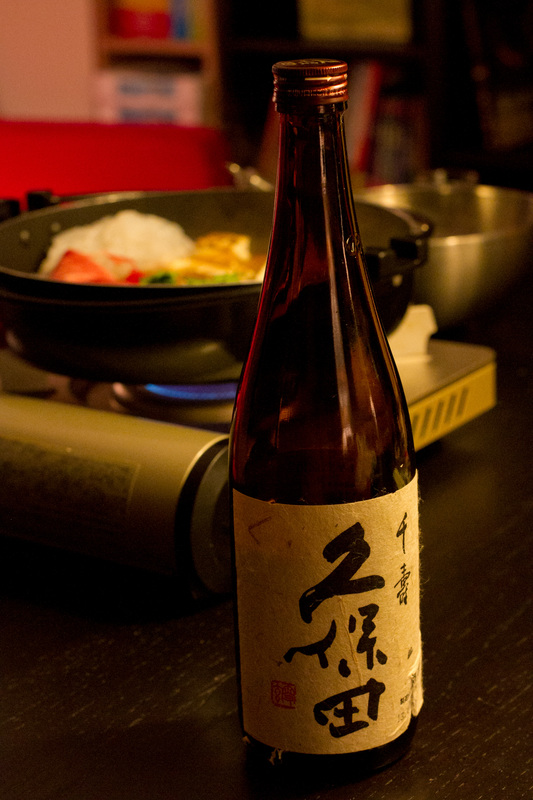 It’s varied and diverse from curry and yakitori to nabe and kaiseki. And once you’re finished sampling Japanese food, you can move onto basically any cuisine in the world. French, Italian, Moroccan, Chinese, American BBQ, or whatever your stomach desires! This list could go on and on because we are always learning and growing. 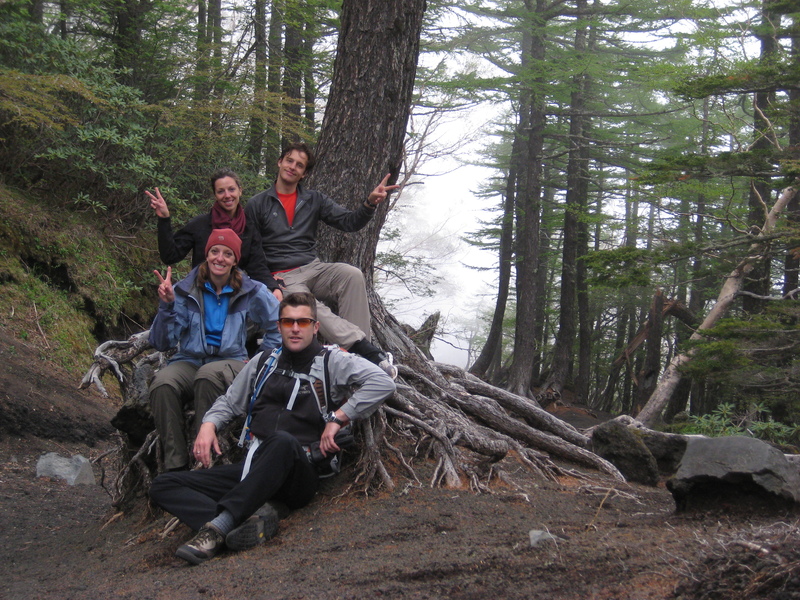 Living in a foreign culture is not only challenging, but forces you to growing as a person on a daily basis. You have to step outside your comfort zones, embrace the adventure, and make the most of the time you have here. We’ve enjoyed our three years of experiences, the friends we’ve made, and personal growth. 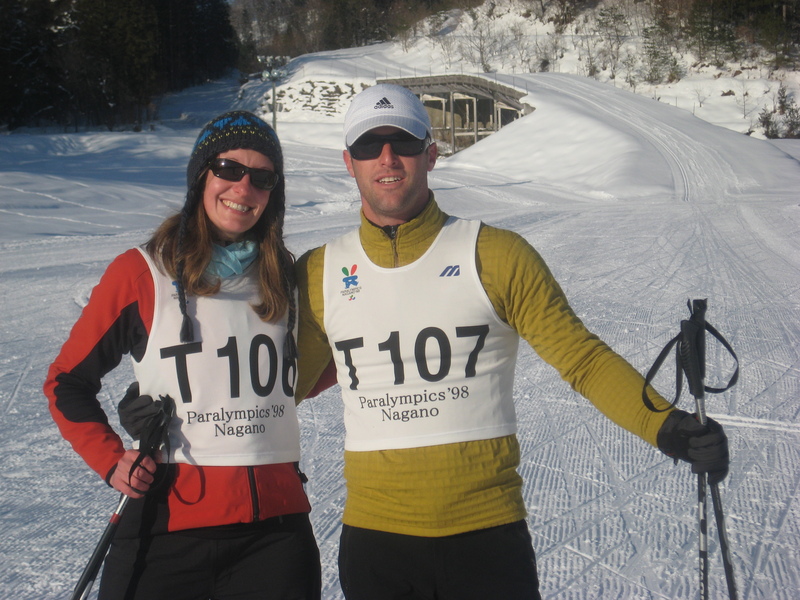 Here’s to another two years in the “Land of the Rising Sun”! 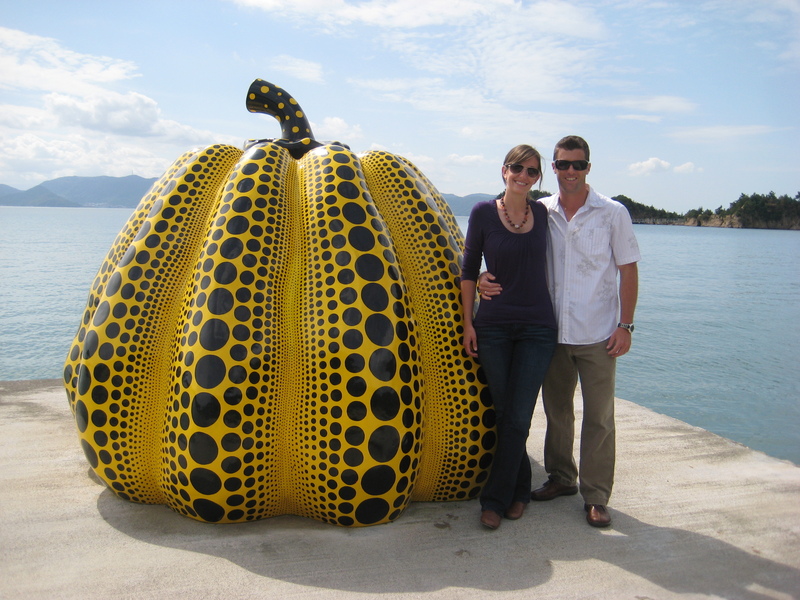 Enjoy some photos of our first three years! 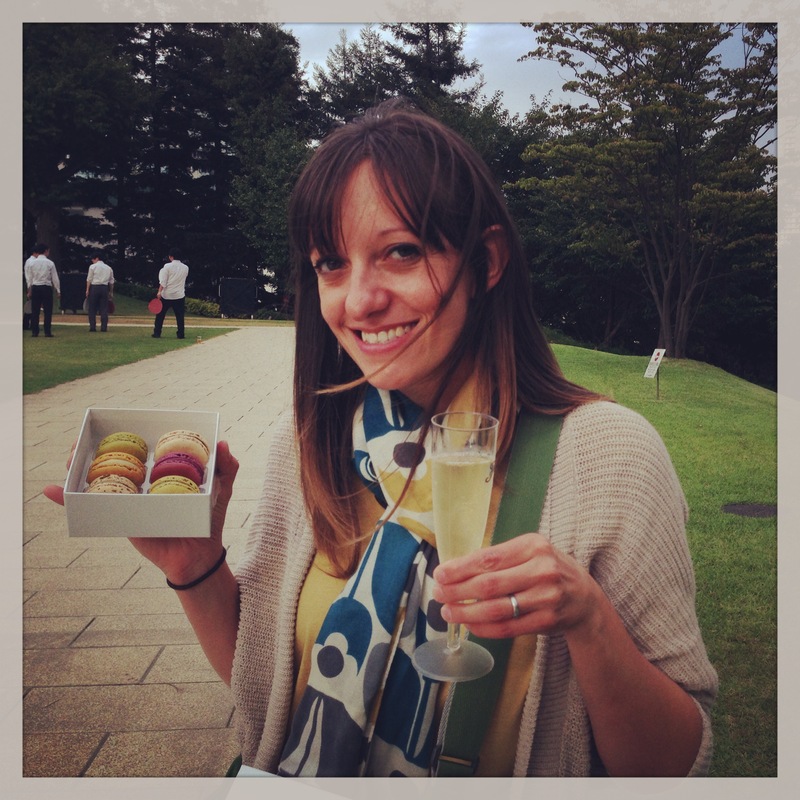 My Birthday Celebration: Eating my way across Tokyo! Not a traditional post but I know several were following my photos yesterday as I literally ate my way across Tokyo! So here was the rundown of where we ate and my thoughts on each. The pictures are all from my iPhone as I wanted to stay “in the moment” as much as possible (which can sometimes be hard with a dSLR attached to your face). 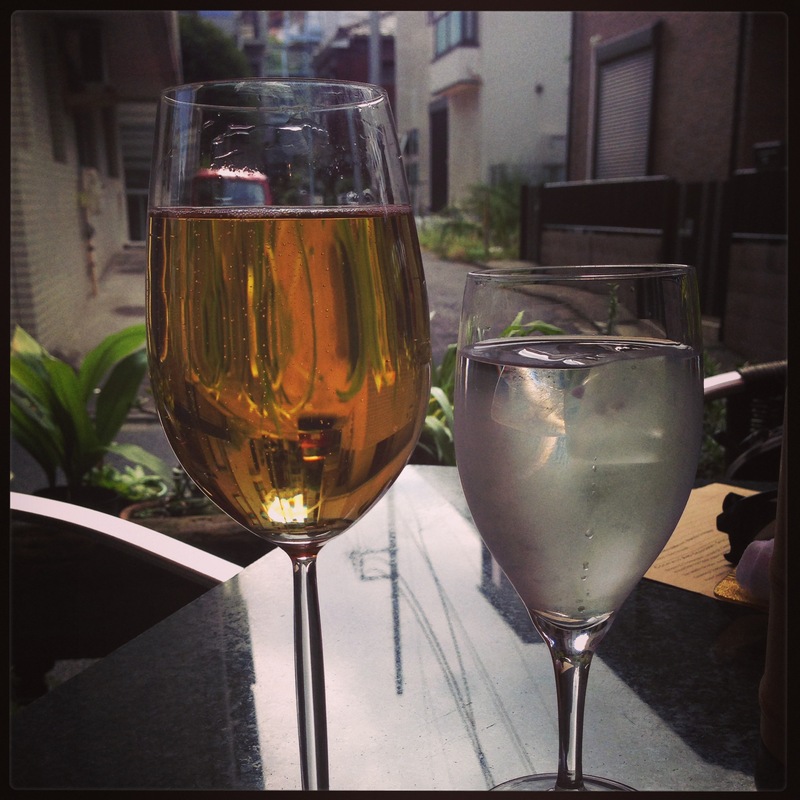 On our Tokyo Birthday Celebration, the first stop was lunch reservation at Kimono Wine Bar & Grill. I have been dying to check this place out. Not only does the menu look great but they are always hosting themed nights like wine pairings, creatives, movie viewings, and more. I love any place that combines programming with good food! After finally making my way here, I have a feeling this will be a routine stop on our Tokyo trips. They describe it as an “oasis” and I think this is a perfect description. We were in the heart of Tokyo yet the street and neighborhood was laid-back and removed from the daily bustle of one of the world’s largest cities! I made reservations because I have heard it fills up quickly on the weekends but when we showed up for a late lunch, we were the only ones (a few trickled in afterwards). Not sure if it’s because we visited on one of the few non-holiday weekends in September/October but it gave us the option of eating inside, or on the patio. Since the air has finally begun to cool off, we sat outside and enjoyed the gorgeous weather! Now to the food. The food is described as Euro-fusion. We only had the brunch menu, which has been extended to include Saturdays and Sundays till 4PM. The menu offered a diverse blend of American and European style dishes. There was chorizo, eggs benedict, bagels, and burgers to fill your stomach along with special brunch cocktails and an extensive wine and beer list. I opted for their swordfish “burger” which I have heard great things about. 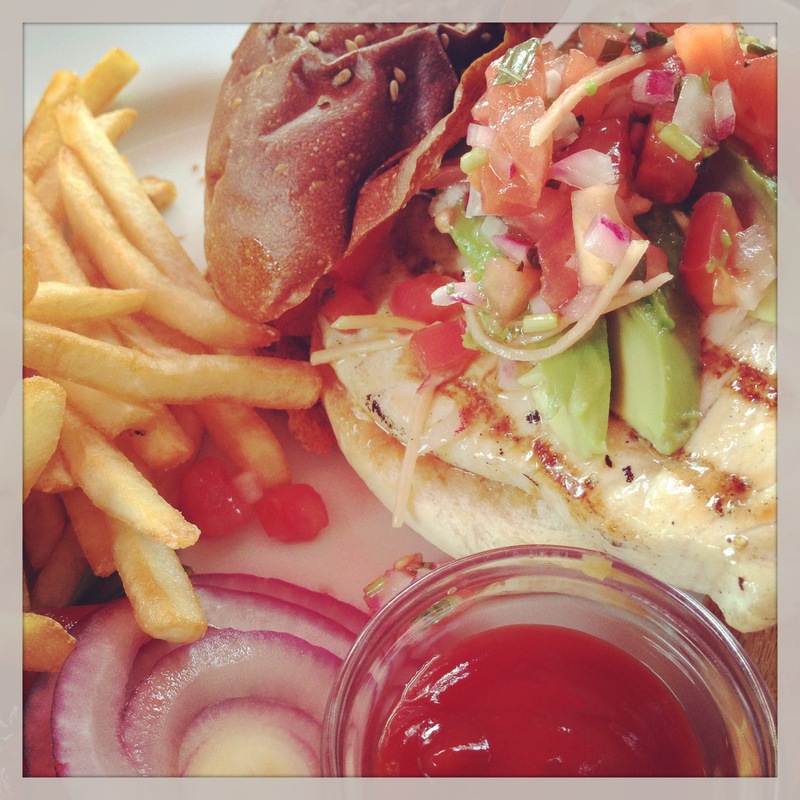 The swordfish was grilled and then topped with a tomato/onion salsa, avocado, and a special Thai-inspired sauce. My husband selected the pulled pork burger with cole slaw. We thoroughly enjoyed both dishes but the dessert was what took the prize for me! When it came to the final decision of making a choice on where to eat, I opted for Kimono Wine Bar & Grill because they mentioned their famous almond cake with brown butter sauce was back on the menu. Hmm…I love almond cakes so I had to try it. Wowser, even my husband was wanting “just one more bite”…. 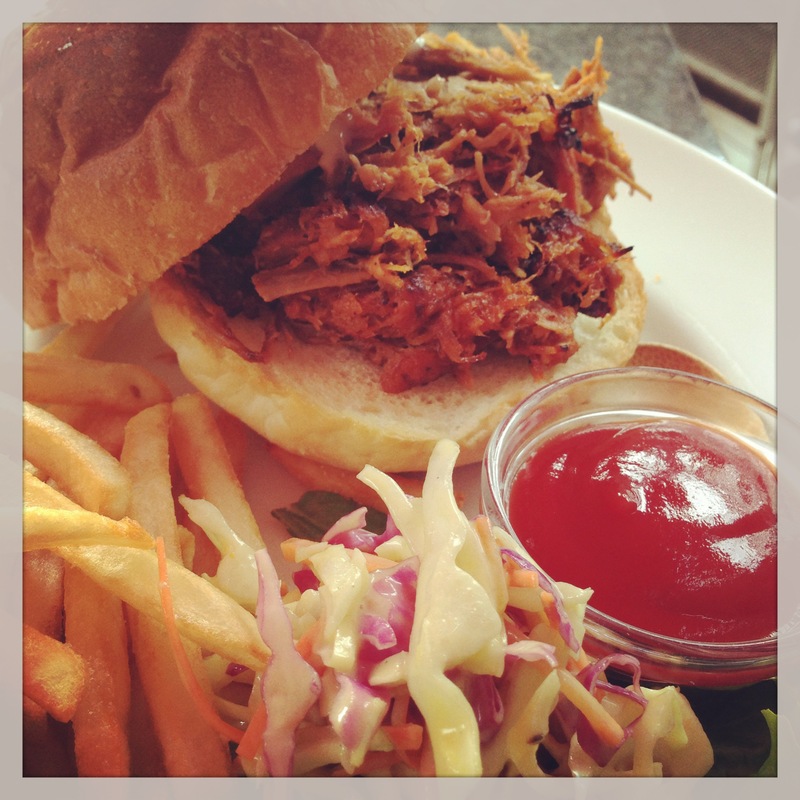 My husband opted for the pulled pork sandwich which he quickly devoured! 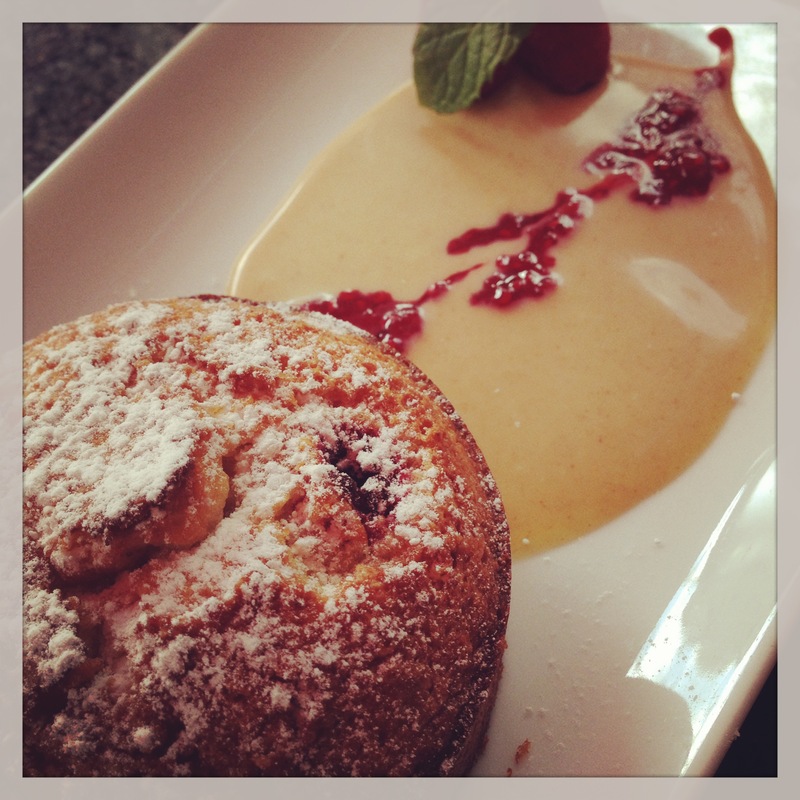 Almond cake with brown butter sauce. I MUST go back soon for this! After lunch, we meandered the half kilometer to the National Art Center Tokyo where there’s a special exhibit (through October 2013) on American Pop Art. The admission price was 1500 yen but worth every penny in my eyes. This private collection of John and Kimiko Powers included artwork from all the Pop Art Masters including Andy Warhol and Roy Lichenstein. 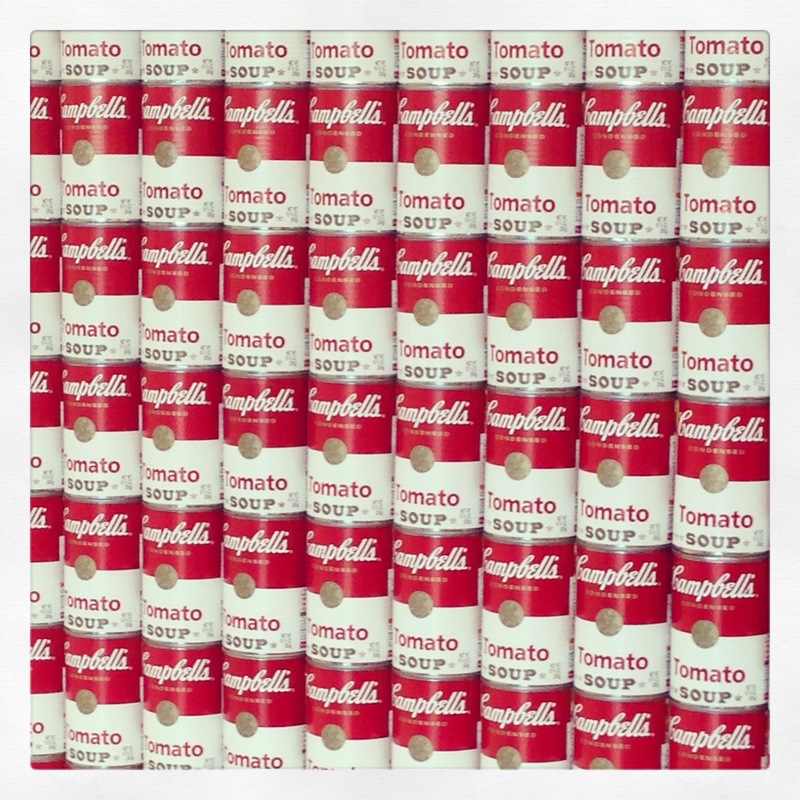 No pictures were allowed inside so all you get is this picture of a 3D replica of the 200 Campbell Soup Cans. On a random note, I found it hilarious that the museum’s gift shop was selling actual Campbells’ soup cans for a pretty high price! Then it was off to find Sadaharu Aoki patisserie. I discovered him while I was researching for our Paris trip in May. I was intrigued because he was a Japanese man who was told he would never open a French pastry shop. As a dramatic show of defiance, he went to Paris where he opened several shops that were well-received. 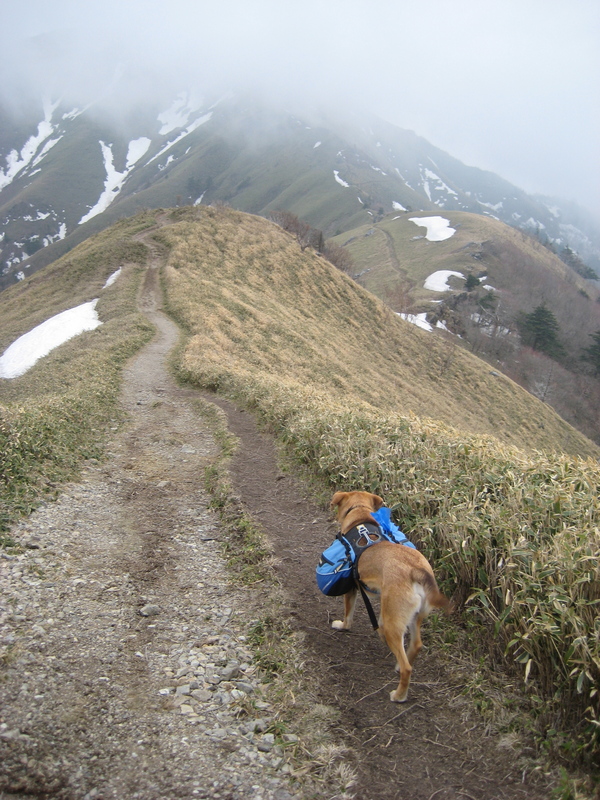 In recent years, he’s returned to his homeland and opened several shops in Tokyo. We went to the Midtown location since it was the closest. We got the 6-pack macaroon box at a whopping 1840 yen! (As my husband says, I have expensive taste!) 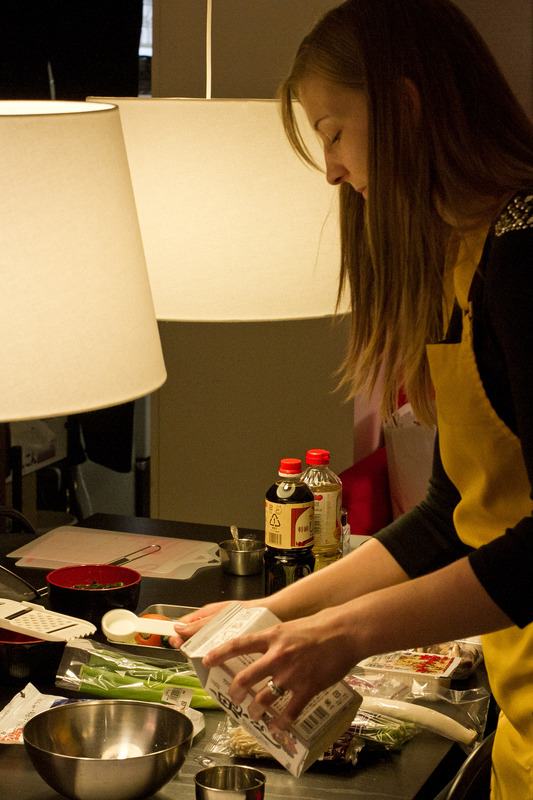 We selected the Japanese-inspired macaroons that you typically don’t find elsewhere. Flavors such as matcha (green tea), yuzu (Asian citrus), hoija, black sesame, and wasabi. We then headed outside to the lawn of Midtown where we enjoyed our macaroons with Spanish cava. Yes, a sparkling wine bar has been set up on the lawn. Do they do this all year round?! I don’t know, but I think it’s a brilliant idea. And for the macaroons, I loved the Asian-flavored combinations but was slightly disappointed with the filling. It was incredibly dense and seemed almost gelatinous to me. My preference is flavored fresh cream fillings. That being said, I will return for the black sesame and yuzu macaroon! After the sugar rush, we were in need of some substantial food so we hopped the train to DevilCraft. 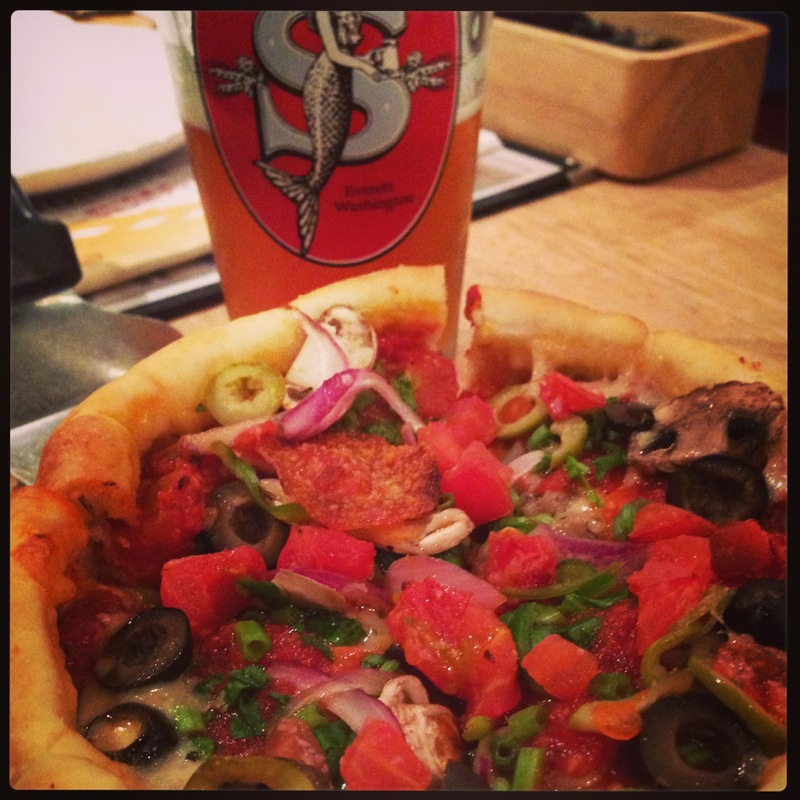 It’s a craft beer bar that serves up pizza including Chicago Deep Dish pizza. They recently opened a new location but we went to the original restaurant near Kanda station. The first floor bar has seating for approximately 12 persons in a trendy, albeit tight, space. The restaurant does have two additional floors but all were reserved for Saturday night. We ordered a small Chicago deep dish pizza to share. What came out would be classified as a personal pan pizza by American standards! However, it is deep dish and we had plenty to eat beforehand so we were fine with the smaller portions. Can’t wait to head back here soon with an empty stomach!